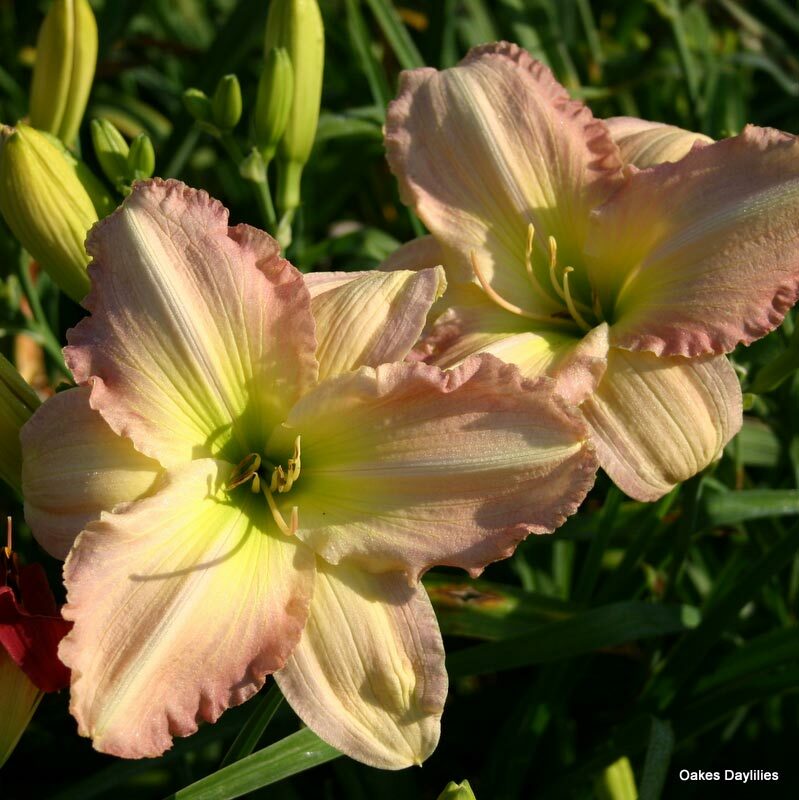 Lovely light creamy pink blooms boast a rich pink border on wide ruffled petals for a truly stunning combination!! 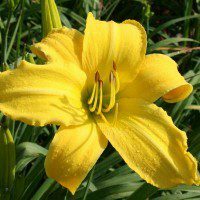 This daylily is beautiful in its own way. 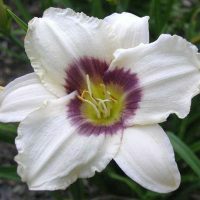 Soft white and pink – a very subtle flower although big blooms and about 3 feet in height. It’s vigorous and today in my MN garden has many more buds waiting to open. The word “lovely” comes to mind when I look at it. Big continuous blooms. 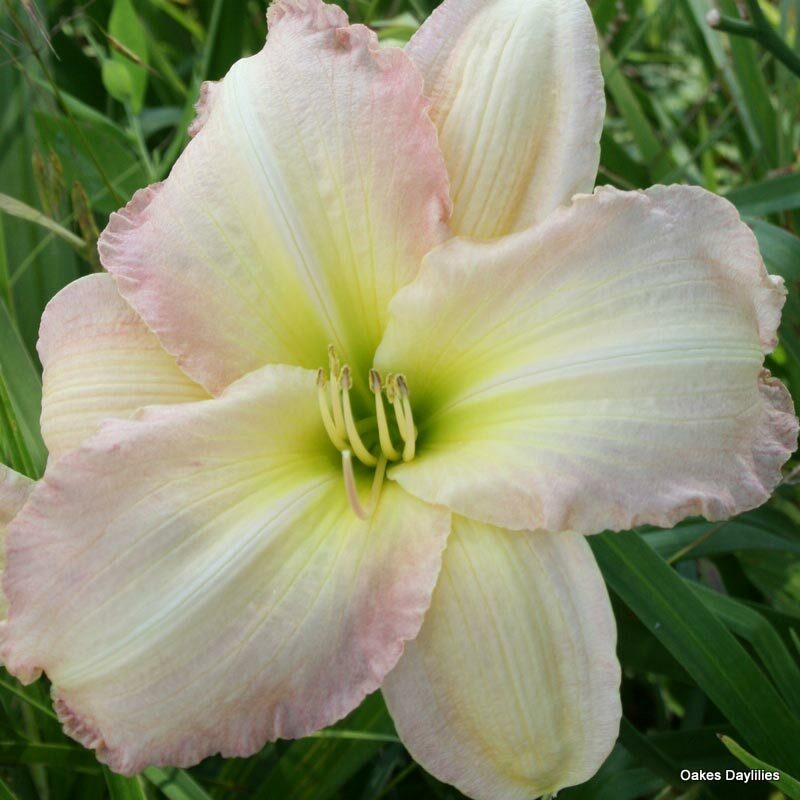 Beautiful form and pale color stands up even here in the south. Very happy with this new addition. Beautiful flower! Color just like that pictured here. 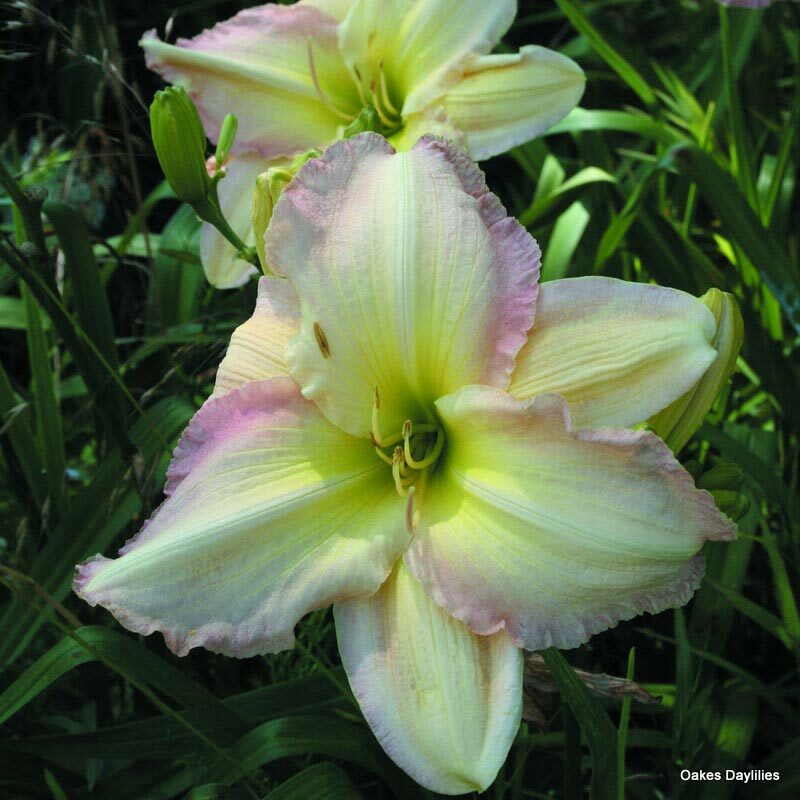 Nice size and texture to the blooms as well. 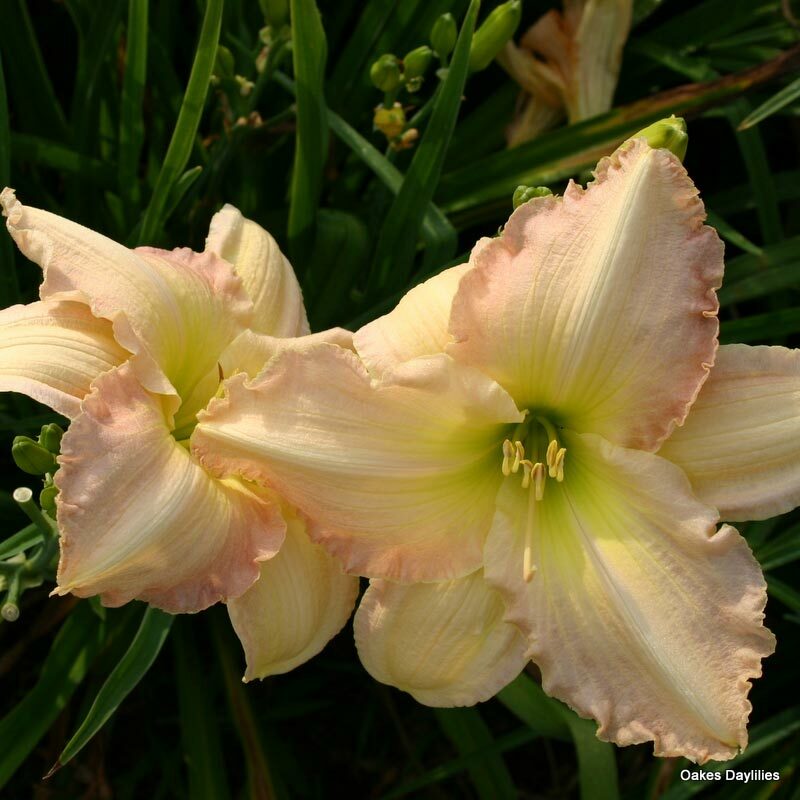 This is an ever-blooming daylily in North Idaho, probably what is known as a “bud builder”. 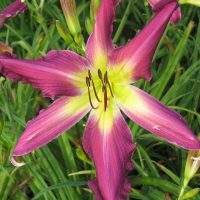 It starts blooming in mid July, which is about 2 weeks into our bloom season, and always has buds left when we freeze out in October. It will have a bloom on almost every scape every day. 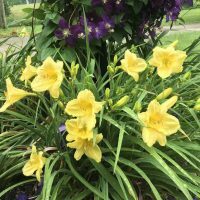 Blooms range from pale yellow self to pale yellow with a lot of rose-pink along the edge with more color when it is warmer. Always gets open, even after a frost although that will take away the color some. One of the first to bloom and always the last to bloom. It has been in our garden for over 10 years. Very prolific. This is a beautiful flower. I have had it in my garden for 2 years and it is currently blooming with alot of flowers yet to open. 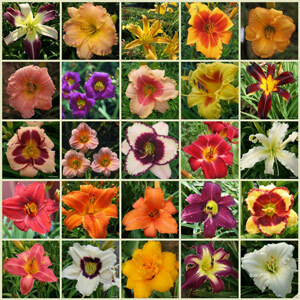 I highly recommend this for your daylily collection.